Can you help Luke identify this radio noise? I am experiencing a issue with my shortwave reception at my part-time home. I have been helping out my mother so I have brought over my Sony portable, along with the Sony active antenna. I have a constant ‘clicking’ sound starting at about 5 kHz or thereabouts that make listening unbearable. 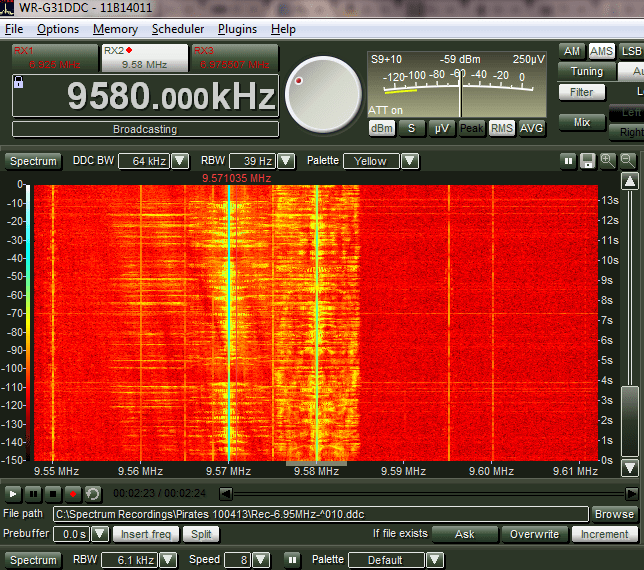 As the video shows the problem is non-existent below 4 kHz. I tried moving the radio throughout the house thinking it could be something in the room and still get the same interference. I was hoping that the filter on the active antenna would help but it does little to remedy the problem. I have no issues with MW or FM reception at all. I have made a short YouTube video to document the problem in the hopes that one of the blog readers can identify it. I looked online at other instances of RFI and I could not find one that is similar. Hope that someone can help me! 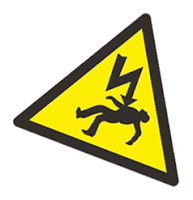 After listening to the first few seconds of your recording, I thought it sounded a bit like an electric fence controller. However the interval between pops is nearly random, which suggests a different source. I suppose it’s possible a faulty fence controller could do this. I believe the only way you could defeat this noise (without shutting it down at the source) would be to use a radio with a durable noise blanker. Of course, I know of no portable radios with an NB function (though most SDRs and tabletop receivers include an NB). Post readers: Can help Luke ID the source of this noise? Does it sound familiar to you? Please comment! This entry was posted in News, QRM, Shortwave Radio and tagged Interference, Luke Perry, Noise, QRM, Radio Frequency Interference, RF Noise, RFI, Sony ICF-SW100 on February 6, 2018 by Thomas. Yesterday, an SWLing Post reader contacted me with questions regarding budget antenna choices for an urban apartment. He’s about to purchase an SDR, but knows that a decent antenna capable of coping with urban radio interference is a critical component. I know I’m a little behind some of my other radio friends, but I’m finally moving up to a software defined radio. Specifically the affordability of the SDRplay RSP and all good reviews for it have encouraged me to make the leap. I suppose it should go without saying that once I purchase an SDRplay I would like to use it, which might not be so easy. I live in a big city full of RF pollution, and most of my listening will be in a room where there’s a fair amount of electronic gadgetry. So, without spending a lot of money, I’m curious if any of your readers might have suggestions about what I might purchase as a “starter kit” for a new SDR user in such a scenario. I also plan to take the SDRplay with me when I have forays out of the city, but I envision that some sort of long wire might be sufficient for listening out in the countryside. I live on the second floor in an urban apartment, and have two windows in the room where I’ll be listening. There is zero chance that I can hang or attach anything on the outside of the house here. So, my most pressing question is about antenna ideas. I’ll need something inexpensive, as I mentioned, and something “off the shelf.” I don’t have the skills or tools to really “build” anything, unfortunately. So is there some less than pricy antenna or antennas I should look at? Or is there some hope of doing something with a long wire indoors? And will my little Tecsun AN-100 AM loop antenna going to help me at all? I mostly plan to listen to MW and the HF bands, but I will inevitably check out signals far up the bands as well. So advise about listening to these bands is also of interest to me. Other than that, I understand it’s important to attach the SDR to the laptop with a USB cable with ferrite chokes. And it probably wouldn’t hurt to buy some extra ferrite chokes to attach to other cables I might be using. 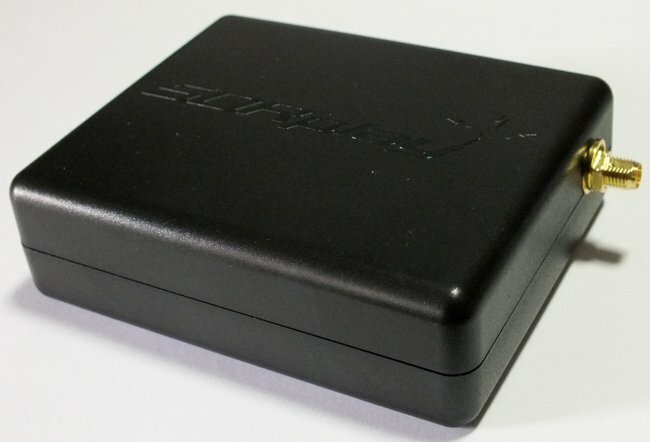 I also plan to buy a NooElec mini-balun for use with a long wire antenna, and I already purchased a PowerMate USB knob because I still prefer to do my “tuning” that way. So other than those basics my questions would be regarding connecting cables and adapters, and the best lengths of cable to use. Should I have some cable between the balun and SDR? I believe I’ve read that it’s better to have a longer USB cable and a shorter coax to the antenna, correct? And when it comes to using a wire antenna, are there preferences as far as what type or gauge of wire to use? I am also interested in any general suggestions or tips from SDR users on getting started. In general, I’m pretty good with navigating through software, it’s usually the hardware issues that stump me. I’m looking to spend between $100 to $150 tops on everything besides the SDR, and I’d like to hear about peripherals, cables, adapters and connectors which when added all together won’t bust my bank. Indeed. I appreciate this reader’s question, since many listeners live in environments with heavy radio interference. 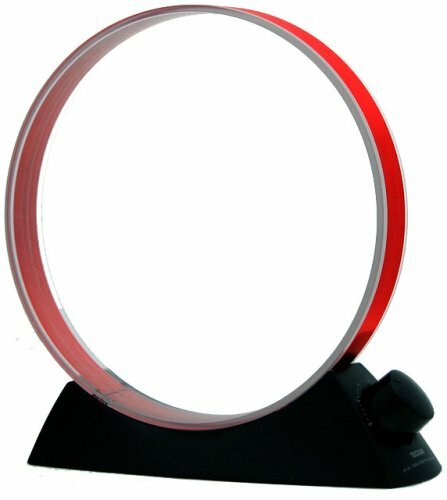 While we’ve published a number of posts touting the virtues of magnetic loop antennas, I don’t think we’ve ever looked for solutions at or below $150 US. While this may be a challenge, I’m also certain there are a number of readers who’ve found solutions to this problem. So, Post readers, what might you do–or have you done–in similar circs? Please feel free to comment, and let’s explore inventive and affordable solutions for this reader! This entry was posted in AM, Antennas, Mediumwave, News, QRM, Radios, Shortwave Radio, Software Defined Radio, SWLers and tagged Antennas, Covert Antennas, Interference, Mag Loop Antennas, QRM, Radio Frequency Interference, SDR, Shortwave Antennas, Software Defined Radio on August 1, 2016 by Thomas. 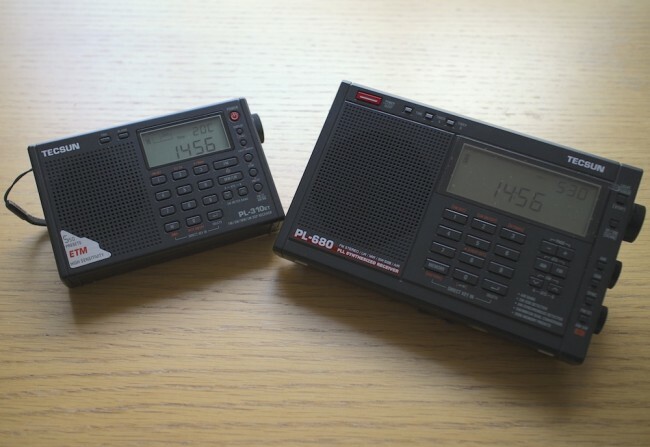 Many thanks to SWLing Post contributor, London Shortwave, who is kindly sharing this guest post–a brilliant article he recently posted on his own website. The old adage “you get what you pay for” certainly holds true even when it comes to such “vintage” technologies as shortwave radio. Believe it or not, a poorly designed receiver can itself be the biggest source of noise on the bands. That is because many modern radios use embedded microprocessors and microcontrollers, which, if poorly installed, can generate interference. If the receiver comes with a badly designed power supply, that too can generate a lot of noise. If you have searched your home for everything you can possibly turn off to make reception less noisy but aren’t satisfied with the results, you might want to look into installing and outdoor antenna. That will be particularly effective if you live in a detached or a semi-detached property and have a garden of some sort. Of course, you will need a radio that has an external antenna input, but as for the antenna itself, a simple copper wire of several metres will do. An important trick is making sure that the noise from inside your home doesn’t travel along your antenna, thus negating the advantage of having the latter installed outside. There are many ways of achieving this, but I will suggest a configuration that has worked well for me in the past. I have used a three-terminal balun (positioned outdoors), and connected two 6 metre copper wires to its antenna terminals to create a dipole. I then connected the balun to the radio indoors through the feed line terminal using a 50? coaxial cable. In the most general terms, the current that is generated in the antenna wires by the radio waves flows from one end of the dipole into the other, and a portion of this current flows down the feed line into your radio. 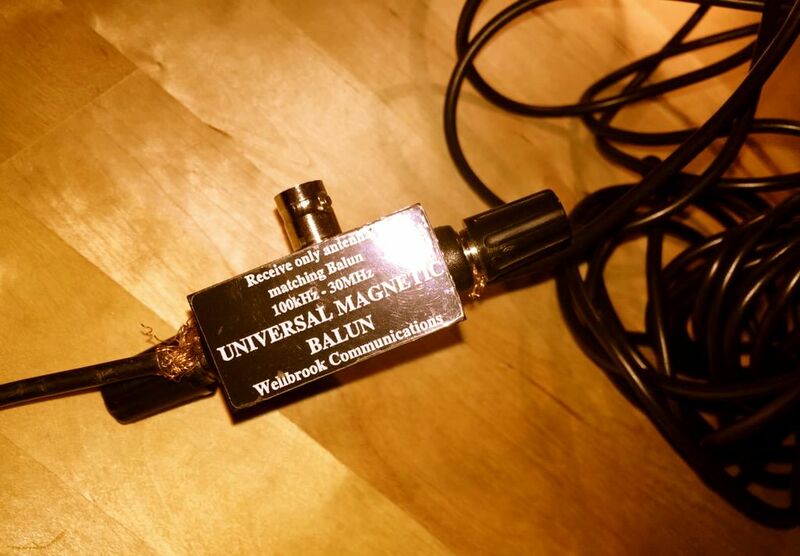 The balun I have used (Wellbrook UMB130) is engineered in a way that prevents the radio noise current from inside your house flowing into the receiving part of the antenna. There is a catch with using an outdoor antenna described above — the signals coming into your radio will be a lot stronger than what would be picked up by the radio’s built-in “whip” antenna. 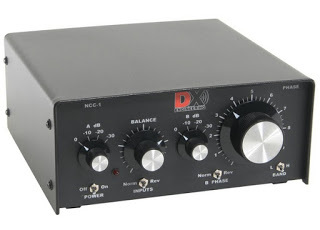 This can overload the receiver and you will then hear many signals from different parts of the shortwave spectrum “mixing in” with the station you are trying to listen to. An antenna preselector solves this problem by allowing signals from a small yet adjustable part of the spectrum to reach your radio, while blocking the others. You can think of it as an additional tuner that helps your radio reject unwanted frequencies. The outdoor long wire antenna worked well for me when I stayed at a suburban property with access to the garden, but when I moved into an apartment well above the ground floor and without a balcony, I realised that I needed a different solution. 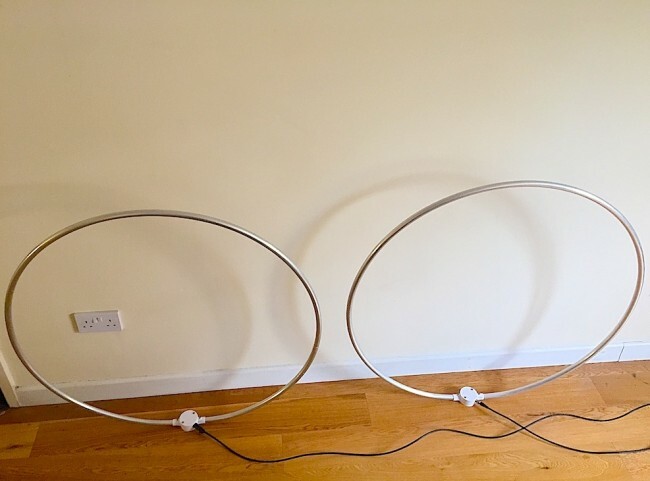 Having googled around I found several amateur radio websites talking about the indoor use of magnetic loop receive-only active antennas (in this case, “active” means that the antenna requires an input voltage to work). The claim was that such antennas respond “primarily to the magnetic field and reject locally radiated electric field noise”[*] resulting in lower noise reception than other compact antenna designs suitable for indoor use. 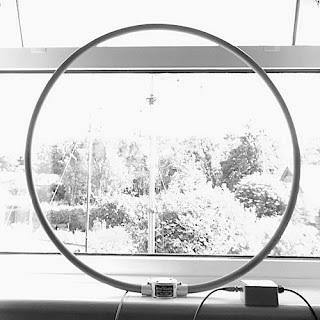 The other advantage of a loop antenna is that it is directional. By rotating the loop about its vertical axis one can maximise the reception strength of one particular signal over the others, once the antenna is aligned with the direction from which the signal is coming (this is termed “peaking” the signal). Similarly, it is possible to reduce the strength of a particular local noise source, since the loop is minimally sensitive to a given signal once it is perpendicular the latter’s direction (also known as “nulling” the signal). It is further possible to lower the effect of local noise sources by moving the antenna around. Because of the antenna’s design, the effect of radio signals is mostly confined to the loop itself as opposed to its feed line. Most local noise sources have irregular radiation patterns indoors, meaning that it is possible find a spot inside your property where their effects are minimised. 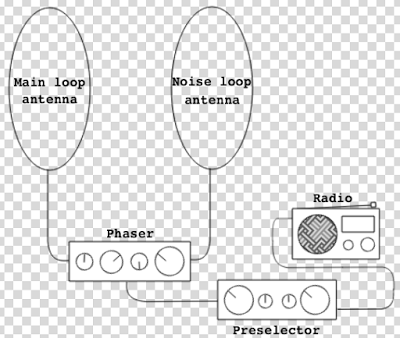 Many compact shortwave loop antennas require an additional tuning unit to be attached to the loop base (much like the preselector described above) but broadband loops do not. Wellbrook ALA1530S+ is one such antenna that is only 1m in diameter, and it was the one I chose for my current apartment. I was rather impressed with its performance, although I found that I need to use a preselector with it as the loop occasionally overloads some of my receivers when used on its own. Below is a demo video comparing using my Tecsun PL680’s built-in antenna to using the radio with the Wellbrook loop. As you can hear, there is a significant improvement in the signal’s readability when the loop is used. Although the loop antenna dramatically reduces the levels of ambient RFI getting into the radio, I also have one particular local noise source which is way too strong for the loop’s nulling capability. Ethernet Over Powerlines (PLT) transmits data across domestic electrical circuits using wall socket adapters, as an alternative to wireless networking. It uses the same frequencies as shortwave, which turns the circuits into powerful transmitting antennas, causing massive interference. One of my neighbours has PLT adapters installed at his property, which intermittently become active and transmit data. When this happens, it is not merely noise that is generated, but a very intense data signal that spreads across the entire shortwave spectrum, obliterating everything but the strongest stations underneath. Fortunately, a mature piece of radio technology called antenna phasing is available to deal with this problem. the currents from the two antennas are then combined by the unit, and the signal and its mirror image cancel each other out at the unit’s output, while the other signals are preserved. 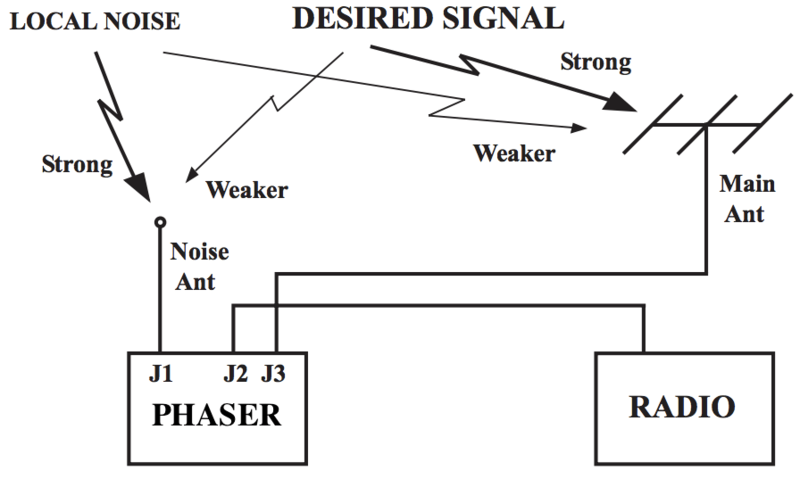 To prevent the possibility of the desired signal being cancelled out together with the noise signal — which can happen if they both come from the same direction relative to the antennas — one can use the set-up illustrated in Figure 3, where one antenna is dedicated to picking up the specific noise signal, while the other is geared towards receiving the desired broadcast. That way, even if the phases of both the noise and the desired signals are offset by the same amount, their relative amplitude differences will not be the same, and thus removing the noise signal will not completely cancel out the desired signal (though it will reduce the latter’s strength to some extent). By utilising the loops’ directionality property, one can rotate the noise sampling loop to maximise the strength of the noise signal relative to the desired signal picked up by the main antenna loop. Below is a demo of DX Engineering NCC-1 at work on my neighbour’s PLT noise. I have chosen to use my SDR’s waterfall display to illustrate the nefarious effect of this type of radio interference and to show how well the NCC-1 copes with the challenge. It would be fair to say that my final urban noise mitigation set-up, shown in Figure 4, is quite expensive: the total cost of two Wellbrook antennas ($288.38 each), a DX Engineering phaser ($599.95) and a Global AT2000 preselector ($80) comes to $1257. That seems like an astronomical price to pay for enjoying shortwave radio in the inner city! However, at this point another old saying comes to mind, “your radio is only as good as your antenna”. There are many high-end shortwave receivers that cost at least this much (e.g. AOR AR7030), but on their own they won’t be of any use in such a noisy environment. Meanwhile, technological progress has brought about many much cheaper radios that rival the older benchmark rigs in terms of performance, with Software Defined Radios (SDRs) being a particularly good example. 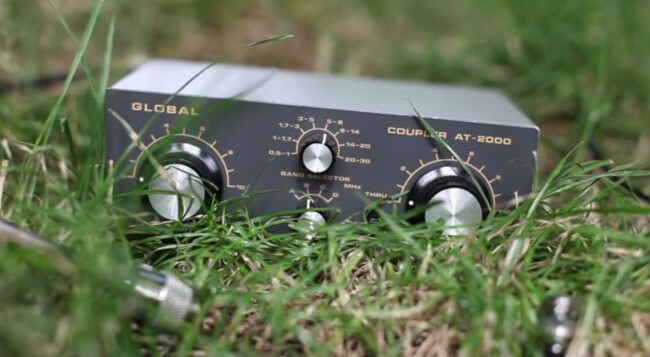 It seems fair, then, to invest these cost savings into what makes shortwave listening possible. You may also find that your RFI situation is not as dire as mine and you only need some of the above equipment to solve your noise problems. If you have implemented the above noise reduction steps but would still like a less noisy listening experience, consider using a Digital Signal Processing (DSP) solution. There are a number of different approaches and products available on the market, and I shall be reviewing some of them in my next post. Meanwhile, below are two demo videos of using DSP while listening to shortwave. The first clip shows the BHI Compact In-Line Noise Elimination Module at work together with a vintage shortwave receiver (Lowe HF-150). The second video compares using a Tecsun PL-660 portable radio indoors on its own and using the entire RFI mitigation set-up shown in Figure 4 together with a DSP noise reduction feature available in the SDR# software package, while using it with a FunCube Dongle Pro+ SDR. As a side note, it is worth remembering that while DSP approaches can make your listening experience more pleasant, they can’t recover what has been lost due to interfering signals or inadequate antenna design. So you have tried all of the above and none of it helps? As a last resort (for some, but personally I prefer it! ), you can go outside to your nearest park with your portable radio. After all, if shortwave listening is causing you more frustration than joy it’s hardly worth it. On the other hand, you might be surprised by what you’ll be able to hear with a good receiver in a noise-free zone. Many of the above tricks and techniques were taught to me by my Twitter contacts. I am particularly grateful to @marcabbiss, @SWLingDotCom, @K7al_L3afta and@sdrsharp for their advice and assistance over the years. What I love about my buddy, London Shortwave, is that he didn’t give up SWLing just because his home is inundated with radio interference–rather, he saw it as a challenge. As you can see, over the years, he has designed a system that effectively defeats radio interference. I also love the fact that he uses an even more simple approach to defeating RFI: he takes his radio outdoors. A kindred spirit, indeed. I encourage all SWLing Post readers to bookmark and search London Shortwave’s website. It’s a treasure trove for the urban SWL. We thank him for allow us to post this article in its entirety. This entry was posted in Articles, Guest Posts, Ham Radio, How To, News, Shortwave Radio, Software Defined Radio, Tutorials and tagged BHI Compact In-Line Noise Elimination Module, DX Engineering NCC-1, FunCube Dongle Pro+, Global AT-2000, Interference, London Shortwave, MFJ 1026, Radio Frequency Interference, Radio Interference, RFI, SDR, Wellbrook, Wellbrook ALA1530S+, Wellbrook UMB130 on October 9, 2015 by Thomas. Like most Friday mornings, yesterday at 11:00 UTC, I tuned to 9,580 kHz to listen to Radio Australia news and ABC National’s technology program Download This Show. While the signal out of Shepparton, Australia was as strong as ever, I heard adjacent interference from China Radio International. Indeed, looking my WinRadio Excalibur‘s spectrum display (see image on right), you can see that CRI’s signal on 9,570 kHz was actually producing noise 15 kHz on either side of their AM carrier (for a total bandwidth of 30 kHz!). Radio Australia’s signal was much cleaner, sticking to their allotted 10 kHz bandwidth limit. The recording of Radio Australia was still quite good, despite the interference, because I was able to run the Excalibur’s AM sync detector locked on the (less noisy) upper side band. This entry was posted in Broadcasters, News, Recordings, Shortwave Radio, What's On Shortwave and tagged China Radio International, Download This Show, Interference, Podcast, Radio Australia, Radio Australia Shepparton, Recordings on October 5, 2013 by Thomas.